In response to a recent blog post on the Huffington Post website by Chipotle Founder, Chairman and Co-CEO, Steve Ells entitled Conventional vs. Grass-fed Beef, we spoke with two California ranchers about how they raise beef today: one grass-fed beef producer and one conventional (grass-fed and grain-finished) producer. Darrell Wood is a cow/calf producer in Vina, CA, and President of Panorama Meats, a supplier of certified organic, 100% grass-finished beef to retailers in the Western United States. Darrel Sweet is a cow/calf producer in Livermore, CA, who raises cattle on grass then sells them to a feedyard in California that finishes the cattle on a combination grass and grain. The two Darrel(l)s provided their perspective on the announcement that Chipotle will now source grass-fed beef from Australia because “U.S. grass-fed beef that meets our standards is simply not produced in sufficient quantities to meet our demand.” Interestingly, both ranchers concluded that Mr. Ells is entitled to his opinions but might not understand how beef is raised in the U.S. today. 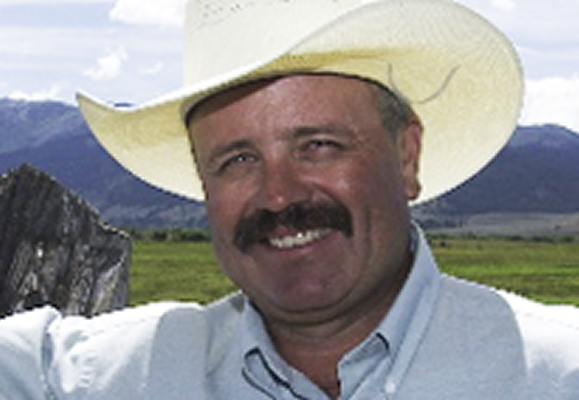 Darrell Wood (raises organic, grass-finished beef): The U.S. beef system is very unique in its ability to meet consumer demand for a year-round fresh beef product. Not only is the system innovative in the ability to provide beef products, it is also unique in the ability to provide abundant choices. A consumer (including restaurants) is able to choose from conventional, organic, antibiotic free, hormone free, grass-finished, grain-finished or any combination of those options. What we have is special. Darrel Sweet (raises conventional beef): It is important to note that these certification programs are verifications of production methods, they have nothing to do with food safety. These claims are simply guaranteeing a certain process was used in raising the animal – it is not about safety. If I treat an animal with antibiotics because they are sick that does not mean it is less safe. And that is the responsible thing to do. Wood: I agree with Darrel. Treating a sick animal is absolutely the responsible thing to do. We have an obligation to animals in our care. I occasionally need to treat an animal with an antibiotic to help it recover from an illness. That does not mean the meat from that animal is lower quality or less safe. It simply doesn’t meet the organic standards so won’t be marketed as organic. Cattlemen are only able to use the resources they have available to them to produce beef. I am fortunate that I have access to both a summer and winter grass pasture. This allows me to produce 100% grass-fed beef year-round by simply moving cattle between pastures. I began producing grass-fed beef to ensure the long term viability of our ranch for my son and daughter. My children will be the 8th generation to work this land. Before going to college they both said they wanted to be part of the ranch, but I could not guarantee that the ranch would be around when they got out of college. I began to evaluate the resources we had and look for other ways to market our cattle. We are able to get a 25% premium for our product because it is 100% grass-fed and organic, that has been the core of our business ever since. The goal has always been to sustain our family business. Sweet: My situation, 185 miles south from Darrell Wood, is very different. My pastures are green only six months out of the year, the other six months they are dormant or brown. If I were to produce grass-fed beef I would have two options, I would need to cut my herd size in half in order to allow for enough feed or I would need to stock feed accordingly when the grass is dry. Both options would not be economically viable for my business, ultimately leading to the end of our farm a farm that I am the 5th generation to work on; my grandchildren are the 7th generation. Currently we raise our cattle until they are about 6-8 months old; they are weaned from their mothers and moved onto another cattle operation to continue maturing and growing. At that point they are 100% grass-fed and if the animal was not given antibiotics because of illness, it could be marketed as 100% grass-fed and naturally-raised (raised without hormones or antibiotics). That’s the decision of the feedyard that buys them and markets them to the consumer. They used to sell naturally-raised beef but the demand for that product hasn’t been strong enough to make it worthwhile. Wood: On the other hand, our grass-fed beef business is consistently growing; we are always getting additional producers to meet the demand. Panorama has previously supplied to Chipotle, about six years ago, and has had conversations with Chipotle as recently as a year ago about providing grass-fed beef for their program again. They were satisfied that our product met their definition of “Responsibly Raised” however, obtaining a premium as a grass-fed beef supplier for Chipotle can be a challenge.. This leads me to believe it is price driven, so ultimately they went with an overseas product because it was cheaper. Sweet: It’s unfortunate that Mr. Ells doesn’t seem to understand the cattle business. Saying that there are not enough cattle producers like Darrell Wood and then going overseas for the same products at a cheaper price sends the wrong message to producers. You need to recover your costs – that’s basic business. Beef producers have always responded to market signals to provide consumers with the beef products they demand and going overseas for your supply of grass-fed beef is not sending the right signal. Wood: Raising responsible beef means being a good steward of the resources you have. In some cases that means raising cattle on grass and finishing them on grain, like my friend Darrel.It really boils down to the quality of the grass pastures available to you and whether the grass grows year-round. Sweet: Exactly, and the prolonged drought we are in has certainly taken its toll. Because of diminished grass quality we are now able to graze fewer cows per acre of land then we were before. In fact, yesterday I was working on watershed lands owned and managed by a water agency that provides drinking water for several million San Francisco Bay area consumers. This piece of land is required by statute to use for grazing in order to save three endangers species: Tiger Salamander, Red Legged Frog and Kit Fox. This type of partnership not only allows me more acres to graze, it also allows for me to help protect open space and endangered species for years to come. Wood: Both Sweet and I are involved in this type of work on our ranches through an organization called The California Rangeland Trust. We realized a number of years back, with urban encroachment we, as ranchers, needed to do more to protect open space and endangered species. One of the best ways to utilize this land is through cattle grazing. I would love for Mr. Ells to call me or visit my ranch to learn more about how beef is raised and discuss his options for providing responsibly raised beef to Chipotle customers.